The ESSENCE Band Review - Played my Wedding! They were AWESOME! 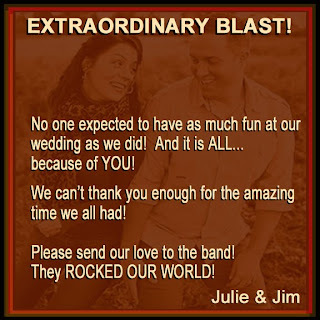 The Essence Band played at my wedding last night and they were simply spectacular! They were really really wonderful, and everyone had a blast. The entire place was rumbling with compliments and comments on how great all the musicians in this band were. 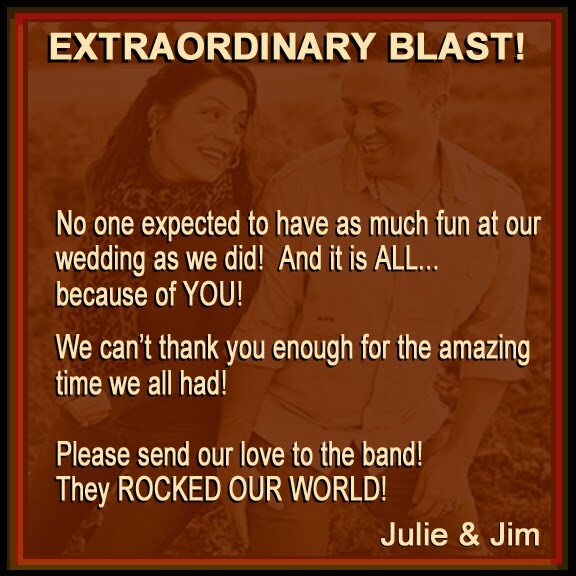 We all had an incredible time and even the facility managers said that The Essence Band was the best band that ever played at their place before and THEY do a LOT of weddings there! Carmine and Jill could not have been nicer to us and they were really attentive and enchanting. THANK YOU ESSENCE and THANK YOU IRIS for setting us up with them! WE ARE VERY HAPPY and now off to our honeymoon! We'll try to stay in touch!